Stainless Tanks & Pressure Vessels Pty Ltd (STPV) offers customers unique stainless steel cylinders, vessels and tanks for all commercial and domestic applications, including fire suppression, lightweight LPG tanks, water treatment, beverage systems, air receivers, chemical storage, food processing and vacuum chambers. STPV specialise in the design and manufacture of high quality stainless steel custom made vessels. Custom made products can be made to specific project requirements and are built to appropriate Australian Standards. Product materials and surface finishes can be customised to your requirements. The dedicated team at STPV aim to meet your vessel needs and make your business their priority. For quality assurance and efficiency to your business needs the STPV range of stainless steel cylinders, vessels and tanks are Australian made and locally manufactured. STPV manufactures a range of large capacity fire extinguisher pressure vessels used in mining, marine and forestry vehicle foam and water mist fire suppression systems. The Marine LPG Cylinder is specifically designed for marine use, for cooking, lighting and heating. It is also ideal for everyday domestic and leisure use. The pots are constructed using 304 stainless steel and stainless steels overflows. STPV can also supply the pots in grade 316 stainless steel. 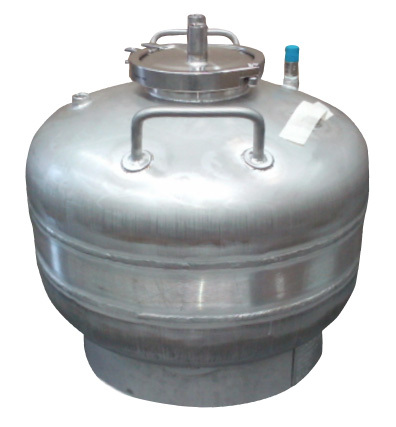 STPV manufactures Post Mix Cylinders / Postmix Kegs for low pressure applications (working pressure 120psi). Originally designed for beverage systems. All custom made tanks and vessels can be manufactured using various grades of stainless steel and various surface finishes.